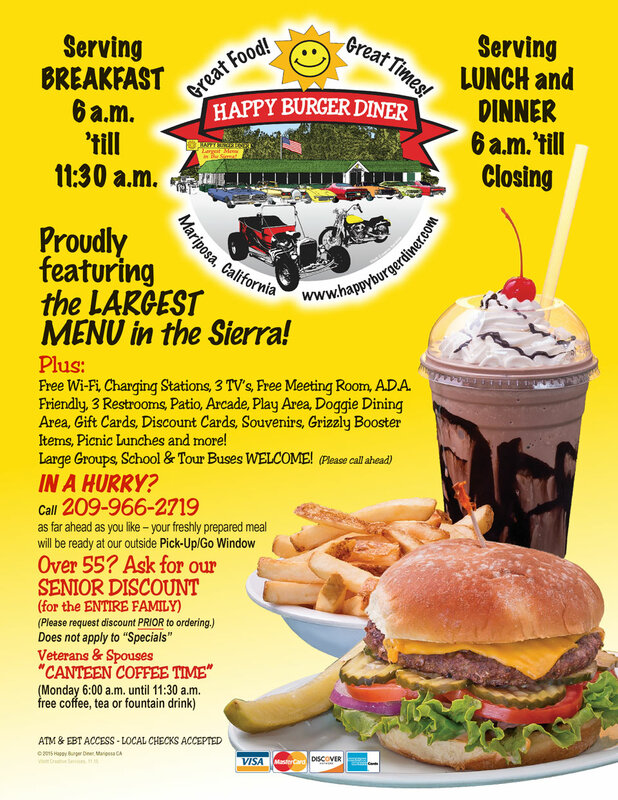 Proudly serving the largest restaurant menu in the Sierra. We also offer a eco-friendly, vegan and vegetarian menu. Senior Discount now applies to the entire family order, bring in a senior and save! Eco – Friendly Menu – Look for the Green Stars!